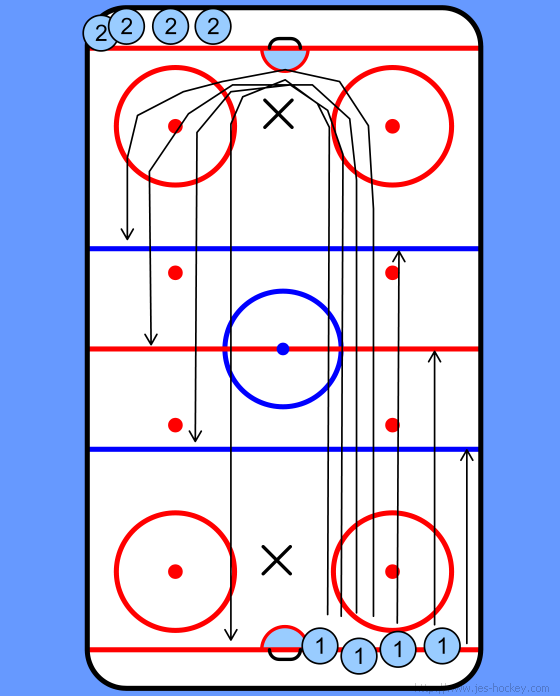 Starting on the whistle one side skates to the blue line and back. The other side follows - on the whistle -when the first side is finished. Continue on with the red line, the other blue line, then around the net to the next blue line, red line, blue line and finally to the other end and back.